Google invited members of the press to its main campus in Mountain View today to unveil Gmail Labs. 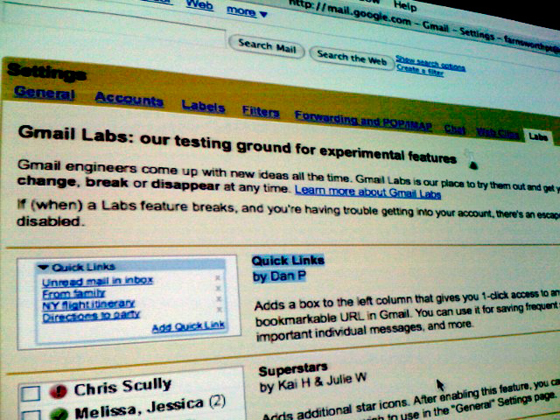 Gmail Labs is essentially a stage for Google employees to develop new features for Gmail under the public eye. Starting at 6pm PT tonight, all Gmail users in the US and UK will see a new tab in the settings area called “Labs”. The tab will show a selection of beta features, such as “Pictures in Chat”, which (unsurprisingly) puts portraits in chat sessions, and “Mouse Gestures”, which allows you to navigate Gmail using mouse gestures. 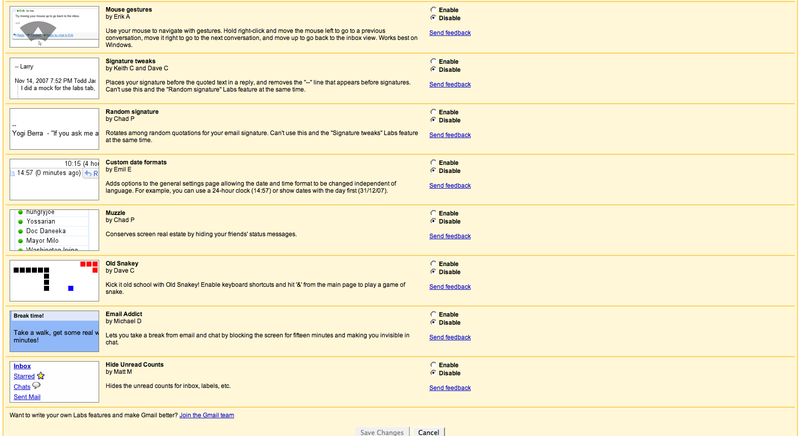 After testing these features, users will be able to submit feedback directly to the developers themselves. Google will decide to incorporate some of these features into Gmail as default enhancements based on the feedback and total usage of each. This makes potential beta testers out of the millions of Gmail users out there (although not all Gmail features under development will go through Labs first). Gmail product manager Keith Coleman says that any Google employee can add their creations to this tab once they go through a simple code check. 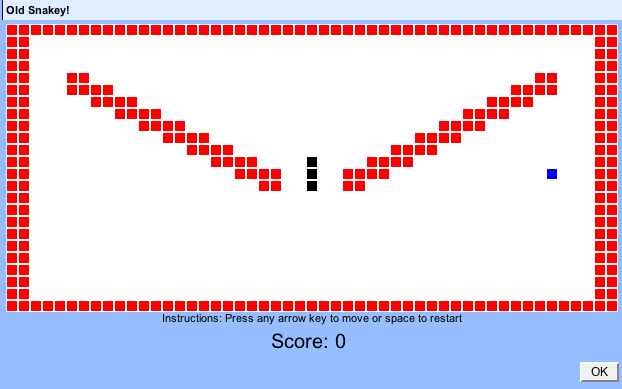 Pretty much any idea will fly, even recreating the game Snake within Gmail, or creating a fun feature that locks users out from Gmail for 15 minutes so they can take a break. Developers are given full access to the entire Gmail code base, so they can modify almost anything (although Coleman avoided the question of whether a feature could be developed that removed ads). Google isn’t saying when they might open the development environment up to the public, but they have shown interest in doing so eventually. The company has encouraged internal development for Gmail by holding a 2-day hack-a-thon, and of course, Googlers are encouraged to use 20% of their time on projects unrelated to their main positions. Google has traditionally tested feature additions to Gmail within the company by making them available first to other employees. This is the first time they’ve opened the testing process and brought in outsiders on such a large scale (however, they have held small-scale usability tests with visitors). It’s yet to be seen whether Gmail Labs will evolve into a more sophisticated development environment, perhaps one that integrates Open Social and other social networking standards. Coleman says this Open Social is something that has been discussed internally, but no announcements regarding its integration are being made now. Another Gmail PM, Todd Jackson, was also present at the event. See our video interview with Todd here.